When you visit Ivy League, you’ll immediately see that we’ve created a camp big enough to provide an unmatched scope of camp activities, yet small enough to attend to the needs of each child’s individual camp experience. This commitment sets Ivy League apart from all other camps. Our uniqueness continues with our detailed attention to the creativity and sense of wonder we integrate into every part of the camp — from the grounds and activities, to the food, care and dedication we provide our campers. 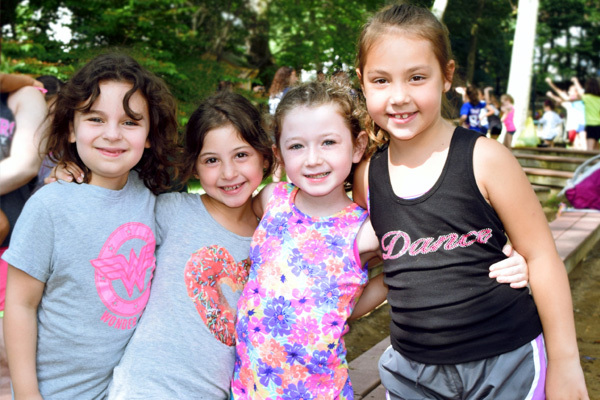 We strive to maintain program and schedule flexibility — making sure that the needs and expectations of our campers, and their families, are constantly being fulfilled. Ivy League believes that every positive attribute or action we would like to reinforce in our campers can be categorized within the five principles of the High 5 Program. What makes the High 5 Program unique and fun is that it isn’t a curriculum or a defined set of milestones that a child needs to accomplish on any specific schedule. Each camper has fun learning each of the five principles in their own unique way and is recognized for their achievement. Furthermore, the program is designed to teach campers to encourage and support their peers in achieving these learning milestones. For more information on Ivy League’s High 5 Program, please click here.